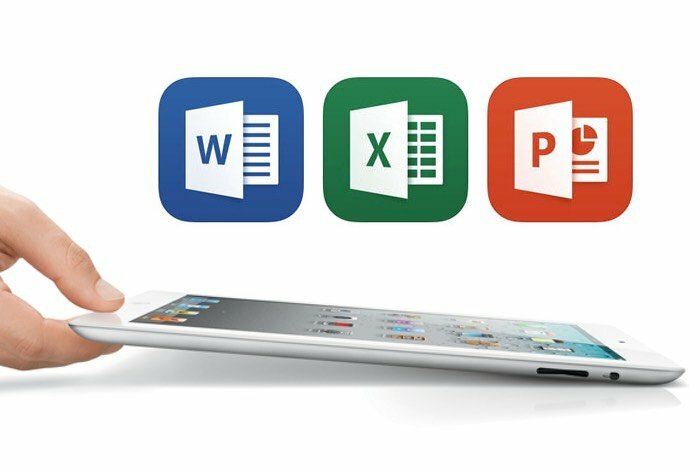 This week Microsoft has rolled out a new update to its iOS Office suite of applications enabling users of Apple smartphone and tablet devices to save the their Office documents into Apple’s iCloud storage service. Offering accessibility to the documents across Mac and iOS systems, and even the ability to open them with Apple’s alternative apps such as Pages and Numbers. The surprise update by Microsoft enabling it users to save to competitors cloud storage service rather than their own OneDrive cloud storage. Indicates that Microsoft is trying hard to help their Office suite of applications spread further a field rather than just its be used own Windows operating systems. The new Office iCloud features works on devices running Apple’s iOS 8 mobile operating system and provides the ability to open, edit, and save your documents to iCloud. The new MS Office iOS app update also enables the ability for users to save to other online storage services and includes a variety of bug fixes, performance enhancements and tweaks. For more information jump over to the Apple iTunes App Store to be able to download the latest Office Suite apps for free.